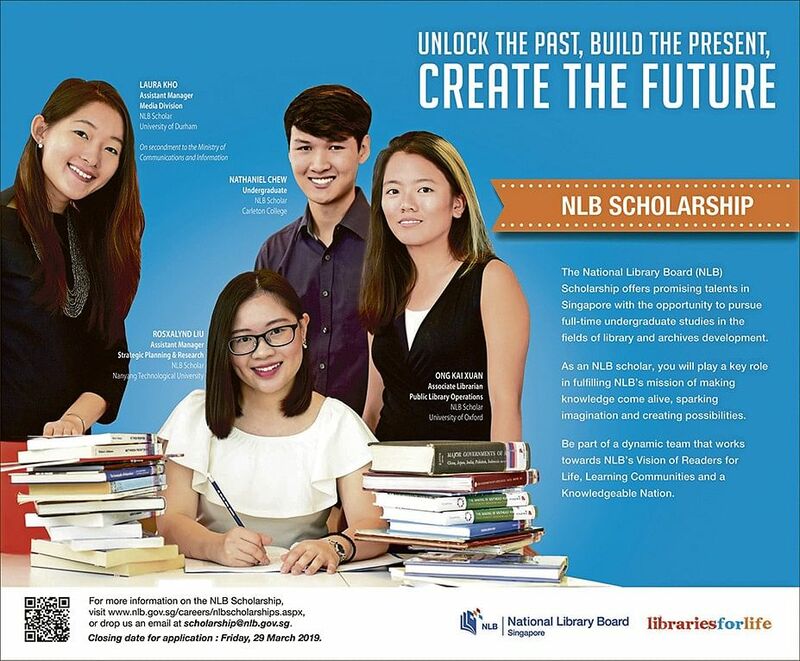 The objective of the NLB Scholarship is to develop and nurture a pool of talent with the capability and potential to assume future leadership roles & champion NLB’s mission of making knowledge come alive, sparking imagination and creating possibilities. Our scholarships offer promising talents in Singapore the opportunity to pursue full-time undergraduate or postgraduate studies in fields to advance library and archives development and also to grow domain expertise in various knowledge fields. The NLB Undergraduate Scholarship is a fully-funded programme that covers tuition and other compulsory fees, return airfare (for overseas scholarship), maintenance and other allowances (where applicable). Undergraduate studies in fields to advance library development and to grow domain expertise: Library Science, Information Science, Southeast Asian Studies, South Asian Studies, History, English, Chinese, Literature, Geography, Contemporary China, etc.